On any given day, headlines about politics and government scandals can dominate the news cycle. What about stories that combine both of those elements in the larger context of an environmental threat? Sustained news coverage uncovered bureaucratic and political missteps that contributed to — or even prolonged — the water crisis in Flint, Michigan. Armed with a camera and a canoe, two enterprising journalists helped bring to light the damage caused by a coal ash spill on North Carolina’s Dan River. The story of the spill would eventually grow to include questions about government oversight and accountability. Stories like these show that, sometimes, the environmental angle is just the beginning. With last month’s Earth Day and this month’s celebration of World Press Freedom Day, it’s an opportune time to assess the state of environmental news reporting. From Michigan to North Carolina and around the world, green journalism continues moving closer to front and center in everyday public affairs. Some historians consider the 17th-century essay “Fumifugium, or the Inconvenience of the Aer and Smoake of London Dissipated” as the first work in the history of environmental journalism. Green reporting has come a long way since the days of pamphlets printed with copper plates. Today, reporters covering environmental issues hold positions at such prestigious news outlets as The Washington Post, Time and The Guardian. Their work frequently earns recognition from environmental advocates and organizations, not to mention the occasional Pulitzer Prize. Many TV and radio broadcasters, as well as premium cable channels, regularly feature science and environment news. The Internet has also proven to be a vibrant source of content, with numerous blogs, podcasts and sites devoted to environmental news and commentary. Additionally, a number of institutions support tomorrow’s green journalists with academic programs and professional fellowships. Despite its successes, green news faces the same challenges as any other type of news in a shifting media landscape. Namely, the resources are limited. 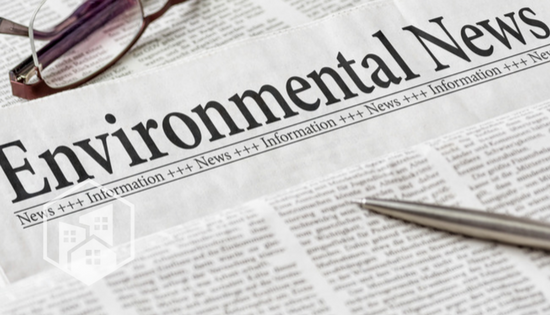 Environmental reporting has found itself in the crosshairs of newsroom cutbacks. Decision-makers in mainstream media outlets sometimes face criticism for the amount of coverage devoted to climate change and other issues. However, every story that reveals the wide-ranging effects of poor stewardship effectively underscores the importance of sustainability. Dispatches from places like Flint and the Dan River may help convince readers and audiences that environmental reporting is more than news you can use — it’s news that we all need.